Carrie was decked out in a No. 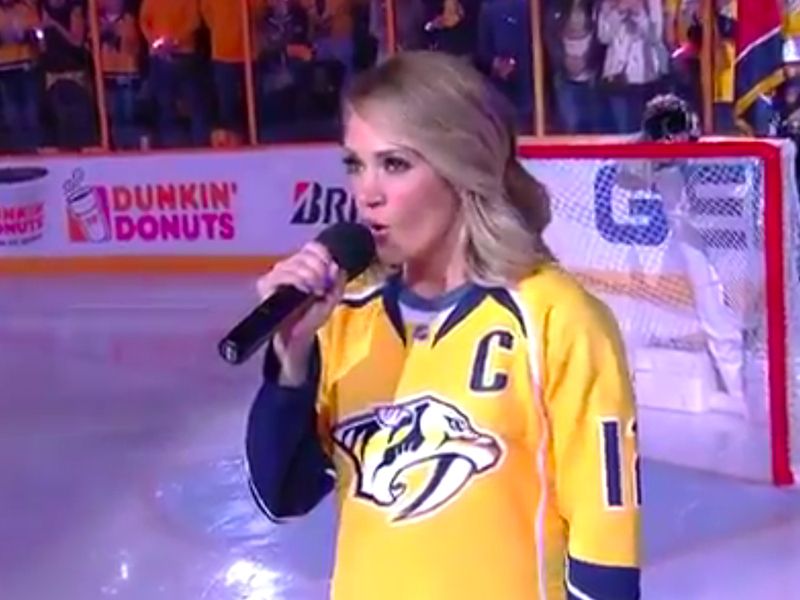 12 Predators jersey, the same number her husband, Mike Fisher, wears as captain of the Preds. Carrie also shared a pic and video on Instagram, and she was understandably excited after the Predators won the game in overtime to take a 3–0 lead in the series.